Cow health starts at the teat. Healthy teats links to more productive cows. Healthy teats come from good prep procedures. 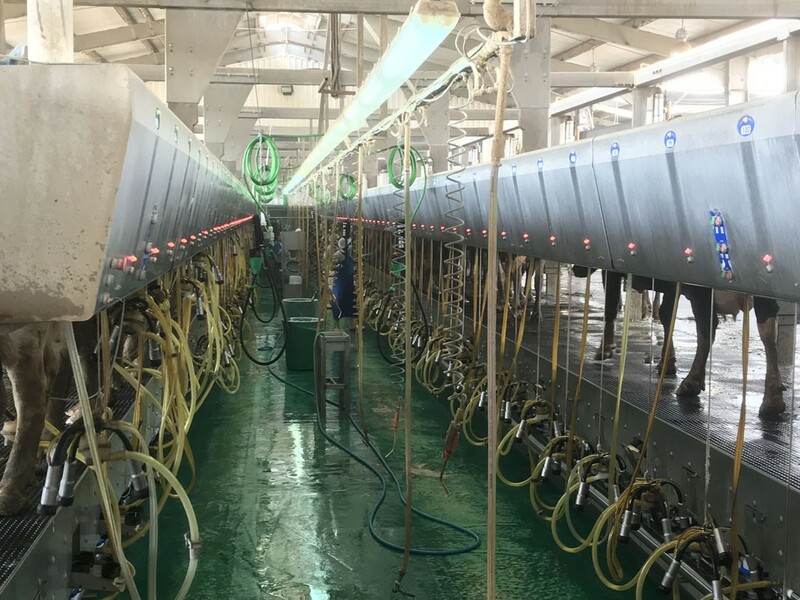 And here at Puli-sistem we can do all you need for healthy teats: manufacturing systems that deliver the best hygiene in the milking routine and reducing the risk of mastitis in your herd. 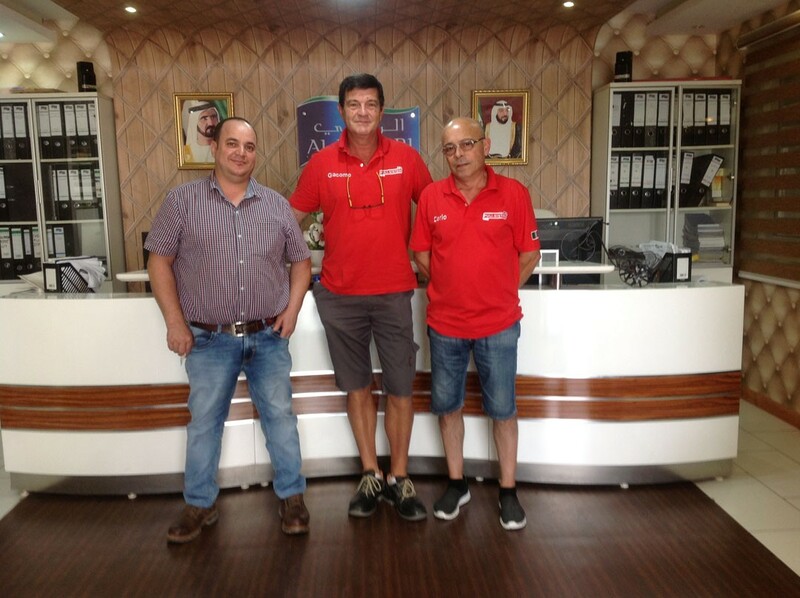 For this reason in August our sales manager Giacomo Castellani, with the help of our warehouse worker Carlo Tononi and our UAE dealers Mr. Essam Monsur and Mr. Tjepko Baker, from the company Farm service/Farm Teck, flew over to Dubai for installing our outstanding F488 in the biggest farm of United Arab Emirates: Al Rawabi Dairy Farm. Al Rawabi is a leader company in the cattle breeding and in the milk production in the UAE. With a wide range of products from milk, yoghurt and juice. 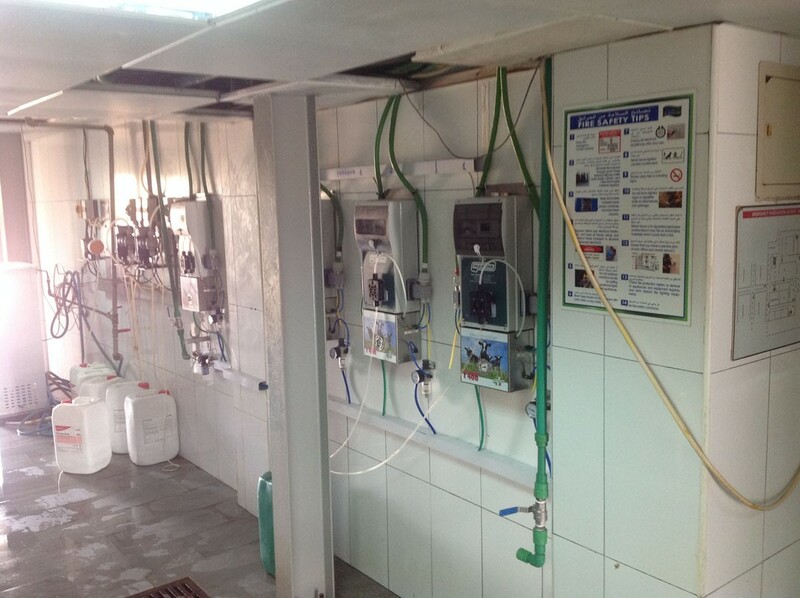 In this dairy, with a herd of 13.000 cows, they milk 6.500 cows, three times per day. Our staff installed 11 F488, that are up and running in two parallels double 30 e in one parallel double 50. During our strenuous and burning working week, we had the pleasure to meet and have a small talk with Mr. Ayman Salah Boshara, the farm manager, Dr. Uditha Wickramaarachchi, the techinical manager & Senior Veterinarian and Dr. Saman Siriwardana, the Operation manager. 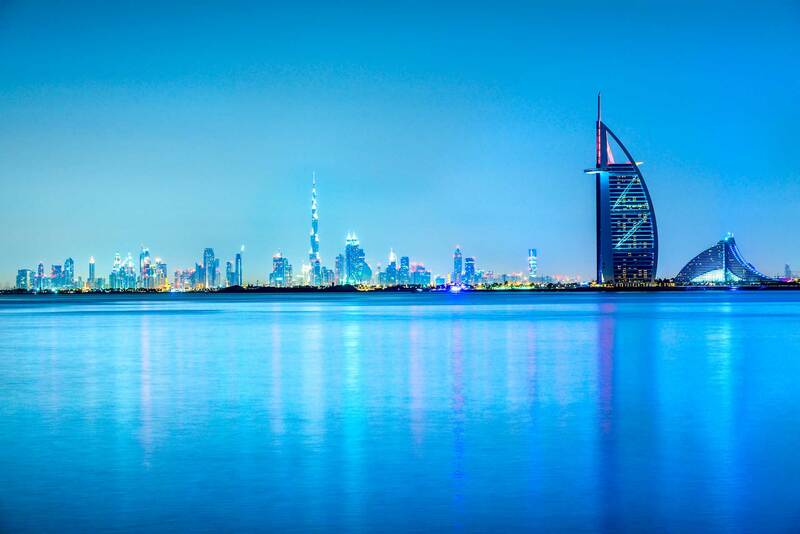 Namely Mr. Ayman Salah Boshara has helped us during the installation process, the trial and the staff training. 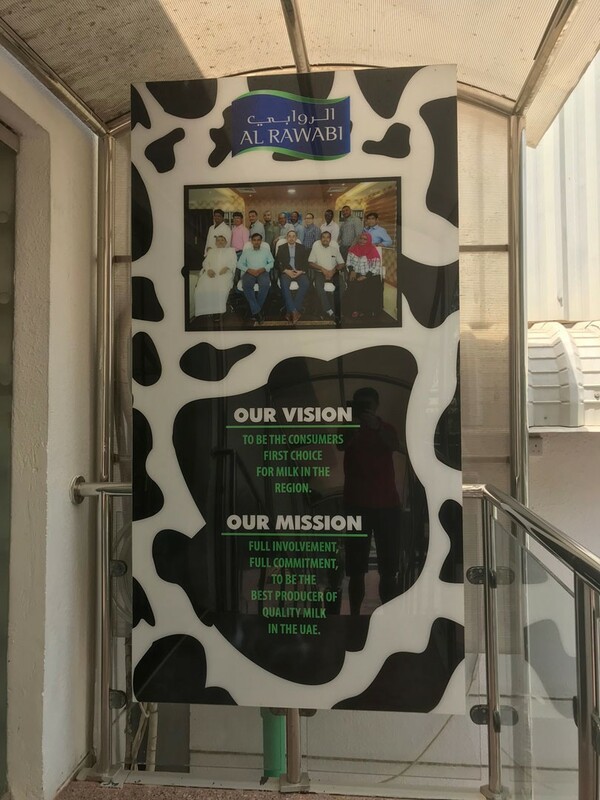 Al Rawabi takes care of having “happy cows”, because cows well-being links to high quality milk. This is why they’ve opted for our F488 teat scrubber. 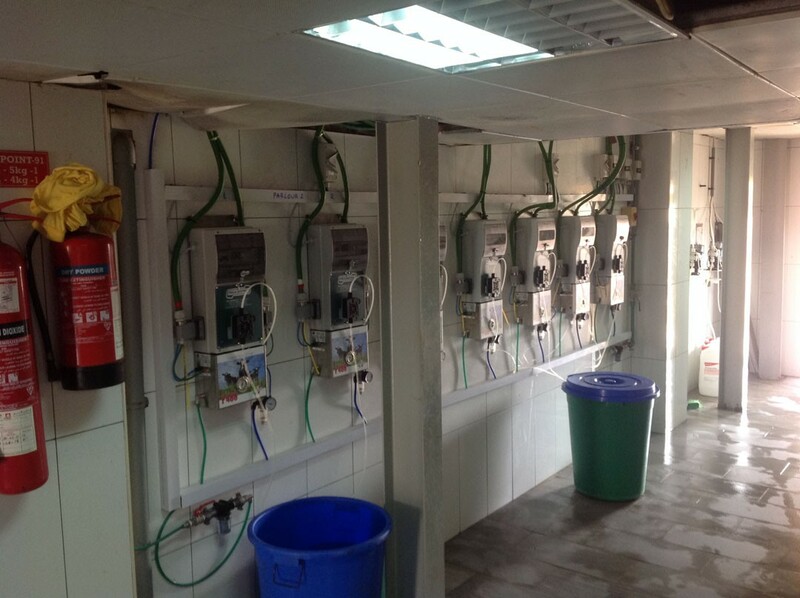 With our system you will produce as much high-quality milk at the lowest cost possible. 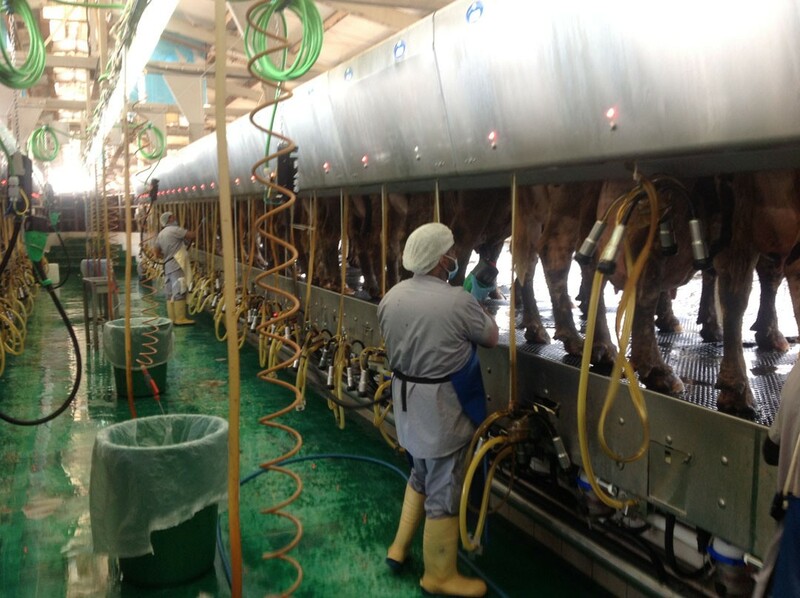 Our F488 is a hand-held system, really light, that provides consistency within your pre-milking routine. 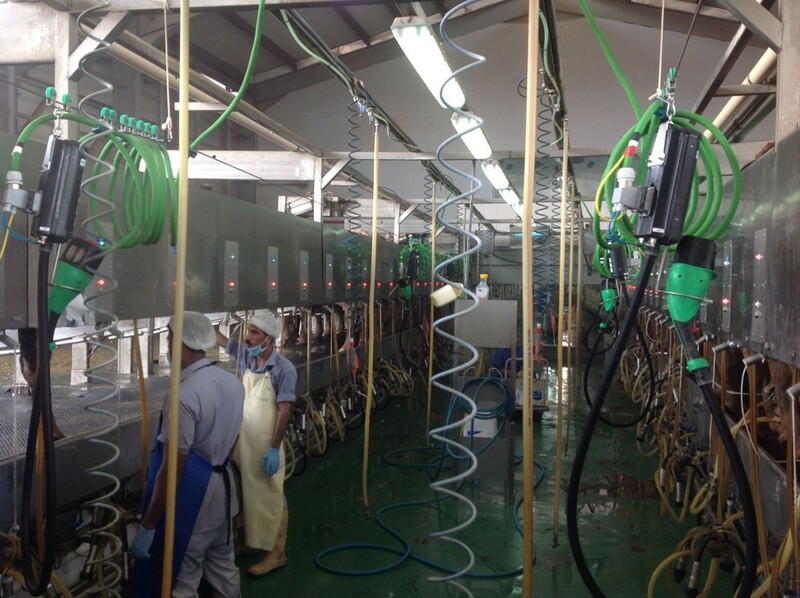 It consists of 4 counter rotating brushes: the top brushes clean, disinfect and massage the external surface of the teat and the base of the udder, while the two bottom brushes complete the same operation at the base of the teats, ensuring the teat canal is completely clean. 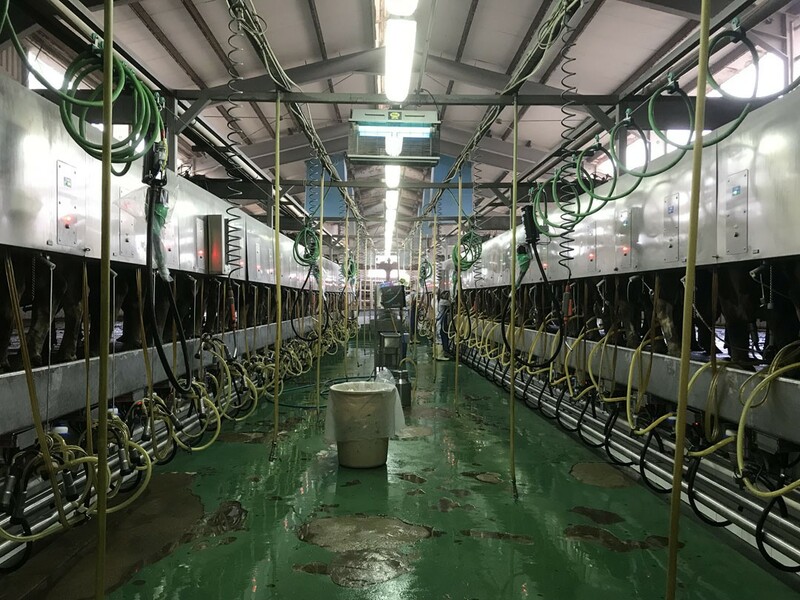 Udder preparation is the start to healthy milking and quality milk and our teat scrubbers family is helping dairy farmers around the world achieve this quality and healthy-orientated philosophy. PreviousOur F60 was “blessed” by the French Monks too.